It works. But, I tried my level best but could not make a working one. Will you experts please help me out! 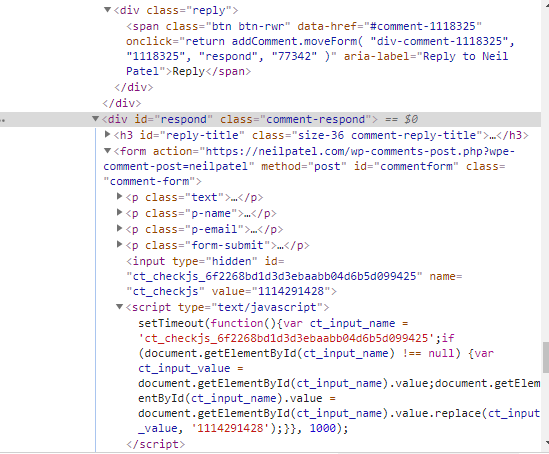 I'm mentioning the custom callback I'm using for comment system, please have a glance over them and give me a solution. Here's the custom comment form for reply as well. This will replace the **** HERE <SPAN> ELEMENT FOR REPLY-BUTTON WILL BE PLACED ****. The span markup is identical to the one in the image. But you can change it easily..
to hide the "Reply" span/button after its clicked. Not the answer you're looking for? Browse other questions tagged php functions comments wp-list-comments or ask your own question.